RAM was created in 1999 by Harry Granroth, who wanted to form a real, true heavy metal band; he was sick of the misinterpretation of metal that ruled the scene at the time, and had a pile of material that he wanted to bring to life. He soon found Daniel Johansson, a young but experienced and very talented guitar player who wielded a traditional metal guitar style. The two started working on some of Harry’s earlier material and began to write new songs. After a long and tiresome search, Harry then found Oscar Carlquist; a powerful heavy metal vocalist with a mutual hatred for the current metal scene. Oscar quickly became involved in the song-writing process and crafted interesting lyrics to accompany the music. The backbone of RAM was formed. Oscar brought in drummer Morgan Pettersson, one of the few drummers left who still played the 70/80’s hard and heavy drumming style. They then recruited the legendary Leif Larsson, an icon in Gothenburg metal as he had previously been a member of Frozen Eyes. The five members started to rehearse and write new songs, and in 2003 they released their first EP, Sudden Impact, through partly their own label „Black Path Metal Recordings“. The EP created an immediate impact on the underground metal scene; the first 1000 copies were sold out in a few months. 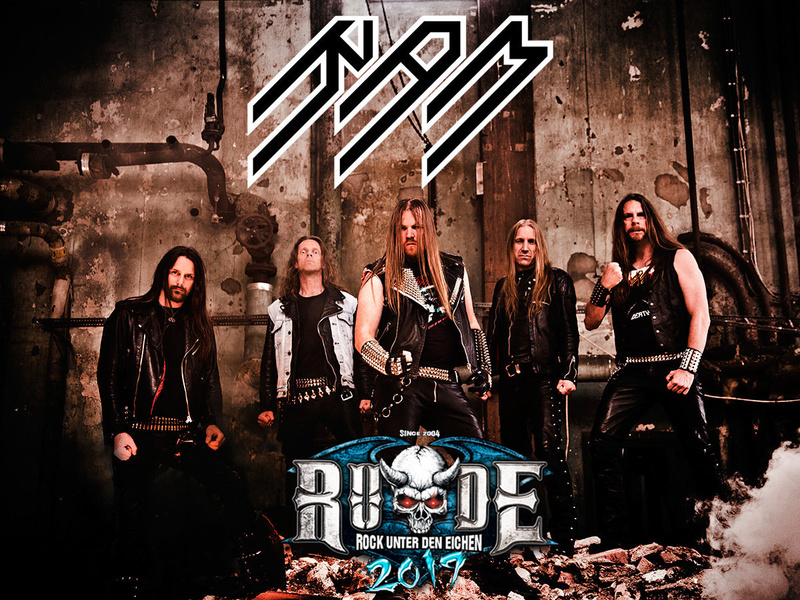 RAM hit the road and played a number of festivals in Europe and went on tour as support for Sebastian Bach. The band was also recognized by Germany’s Rock Hard magazine as one of the best newcomers of 2004. RAM continued to destroy stages through the spring of 2015 all over Europe, then they once again entered the studio to record their fourth album. Svbversvm was another step upon the Black Path that is RAM’s career and showcased yet another dimension of RAM’s song-writing and muscianship. Svbversvm recieved amazing reviews and appeared on many best album of 2015 lists in the rock press. RAM supported the release with another tour and several festival appearances. © Rock unter den Eichen Metal Open Air.